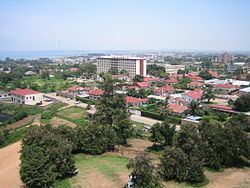 Bujumbura (; [buʒumbuʁa]), formerly Usumbura, is the capital, largest city, and main port of Burundi. It ships most of the country's chief export, coffee, as well as cotton and tin ore. It is on the north-eastern shore of Lake Tanganyika, the second deepest lake in the world after Lake Baikal. Bujumbura features a tropical savanna climate (Köppen: Aw) with distinct wet and dry seasons. Its wet season is from October through April, while the dry season covers the remaining five months. Despite being located close to the equator, Bujumbura is not nearly as warm as one might expect, due to its altitude. Average temperatures are constant throughout the course of the year with the high temperature at around 29 °C (84 °F) and the low temperature at around 19 °C (66 °F). Bujumbura's central market is in the City Centre, along Rwagasore Avenue. During the city's heavy periods of war in 1972 and 1993, as citizens had become less likely to travel far from the City Centre, markets in neighboring communities lost their business to the central market in Bujumbura. Consequently, vendors moved their business to the central market, many settling outside the market due to lack of space. However, the central market houses the largest variety of merchandise in the city, with stores that sell everything from food and sweets, to new and used clothing, shoes and consumer goods such as soap, detergent, school supplies and household accessories. On the dawn of January 27, 2013 a serious fire ravaged Bujumbura's central market. Due to poor emergency response, the fire lasted for hours, resulting in a serious blow to local exchanges. Hundreds of vendors, local and foreign, lost their goods to the fire and the reported looting. While Burundi's emergency services were unable to extinguish the blaze on their own, neighboring Rwanda sent helicopters to assist in the emergency response. Public transport in Bujumbura mainly consists of taxis and mini-buses, locally known as the Hiace. Public transport vehicles generally have a generic white and blue paint job. Bujumbura is also home to many clinics and the province's main hospitals: the Prince Regent Charles Hospital, the Roi Khaled Hospital, and the Military Hospital. 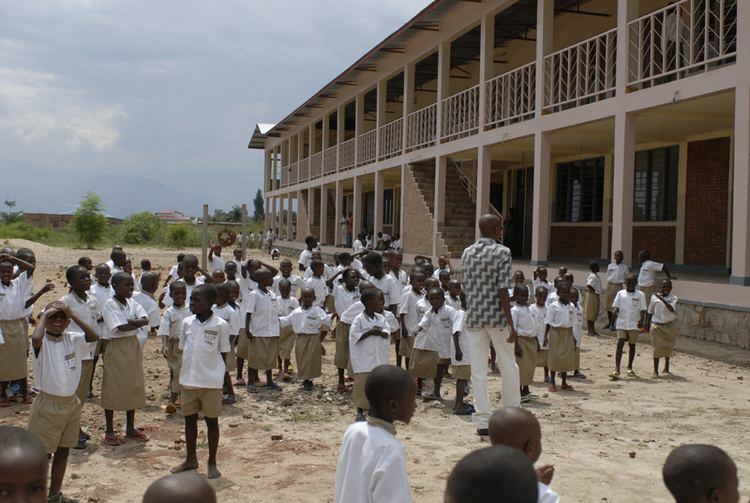 Bujumbura was also home of the independent weekly radio program Imagine Burundi, the country's first locally produced English-language program that focused on stories about life in the region. Segments included restaurant reviews and clips with job advice for students and young professionals. The show ran from September 2010 to August 2013 on 99.3 CCIB in Bujumbura, and recordings are archived on the show's website at imagineburundi.com.